Lots of new phones were launched at the MCW 2017 event, The LG G6 happens to be one of them. This phone comes with very nice specs as expected from all LG Fans, it is a device that anyone would be proud to own and also give to a Loved one. This phone has a 5.7inches Display with Corning Gorilla Glass Ver.3, It also has a Glass back with Corning Gorilla Glass 5 Protection. It's 4GB Ram assures you smooth running of apps as well as lag less multitasking. With it's Fast Charging and Wireless features you are sure to always have enough battery power for your everyday activities. I recommend this phone for any Android OS Lover cause it meets all the requirements of a smartphone i listed Here. 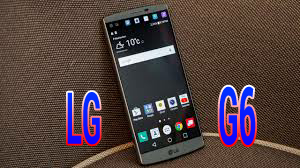 Don't forget that "With LG .... Life is Always Good"!.